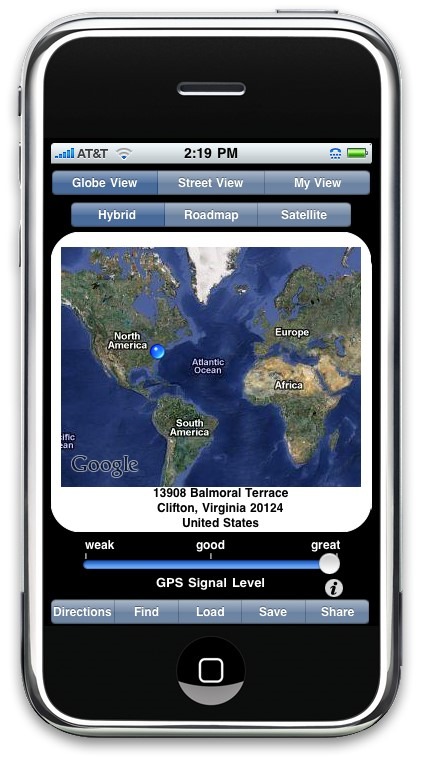 Our iMapMe mobile app is now a universal app which means it will run on the iPad iPhone and the iPod Touch. When running on the iPad the user experienced is greatlly enhanced. sharing current location information using email or a text message. for an email, such information as address, latitude, longitude, altitude and a link to a Google map are shared. for a text message, a link to a Google map is shared. Text message (SMS) are short message and details have to be limited. 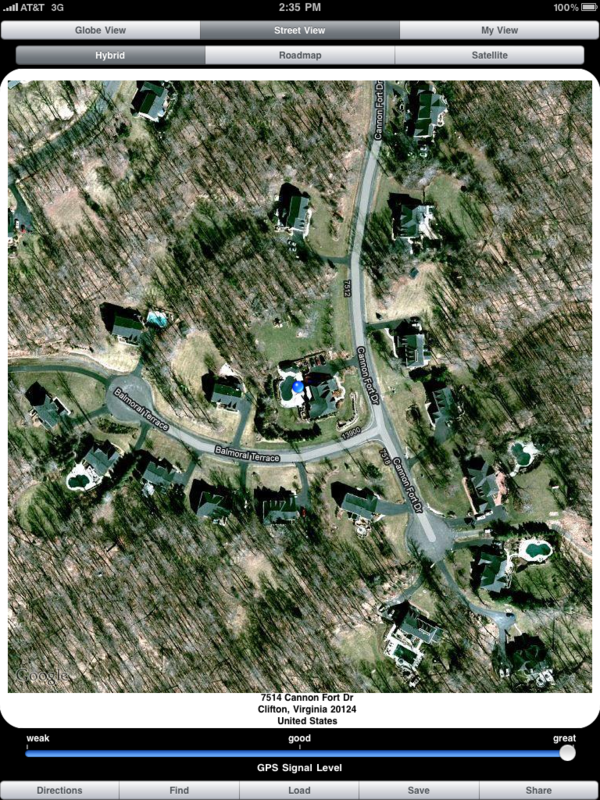 Displays a satellite image of your current location with detailed feature information such as roads and pools layered on top. Multiple views provide control of the features you display quickly and easily. Large hybrid satellite image and map of your current location. Globe View shows our location on the globe. Street View shows road and road name information. My View shows very detailed features such as pools. Pinch and swipe controls for zooming in and out and panning. GPS signal strobe indicating actively receiving from satellite.